How do you grieve someone you never met? 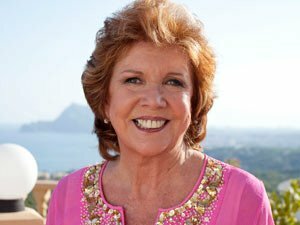 Few of us would be unaware of the death of Cilla Black recently and I’m guessing a lot of us felt a sense of unexplained grief. It was probably similar when Linda Bellingham died or when any celebrity, be it Michael Jackson or Lady Diana, died – there is that sense of huge loss but loss for someone you have never met. So how do you grieve? There isn’t any correct way to grieve for the loss of a famous stranger but if you do feel grief it is probably because that person touched your heart or your life in some way. Whoever that person was you feel sad because that person made you think or feel something and now they have passed over, taking those special memories with them. If you do feel sad accept that you are grieving the loss of something that was important and meant something to you. You are NOT being ridiculous so take some time to pause, reflect and cry if you need to. It might help to talk to your family and friends because the chances are they might be feeling the same if the person was someone very famous like Cilla Black, who touched the hearts of people of all ages and from all backgrounds. You might find the endless media tributes do more harm than good so it might help to turn all that off for a while. Above all, please don’t feel you are being silly grieving over someone you have never met. If that person touched your heart they are worth your time, tears and your respect because the heart has such power. You need to say goodbye in your own unique way and when you have done crying you can look forward to a new relationship with them in spirit – because in spirit love (whether it be for a partner, family member, friend, pet or a celebrity) never truly dies. I haven’t really grieved for a famous person I never met, but I did grieve for a friend I met online before. We were in different countries so we couldn’t physically meet, but that still didn’t make a difference as we were as close as possible. I got an email from a mutual friend saying that she had passed away due to an advanced stomach tumor. It was shocking how hard it hit me but I know it was due to the close bond we’d shared as kindred spirits. I think if you are grieving, take time. Love for someone you have never met to me is a very strong love. Especially if you learned to love that someone through certain qualities. The pain hurts your heart, but after a while. You start feeling better knowing that person is at peace. Kabeera, thank you so much for those encouraging, understanding and loving thoughts. Your words truly brought comfort to my heart! Again, thank you! I’ve been mourning the loss of my dead grandfather that i’ve never met for over 11 years. He passed about 5-6 years before I was born, but I have had many phenomenal experiences with him. I used to receive many “signs” but lately they’ve stopped. His death left me with this hollow sadness and I feel like most insecurity problems or other problems related to my behavior all link back to the fact that i’ve never actually had grandparents. I am now 16 and it kills me to not feel loved by my grandfather in an earthly sense. But in all, his death has been kinder to me than any living grandparent. Ms. Cheung, Thank you for posting this article. Your thoughts were so encouraging, your understanding truly meaningful and loving! Again, thank you!